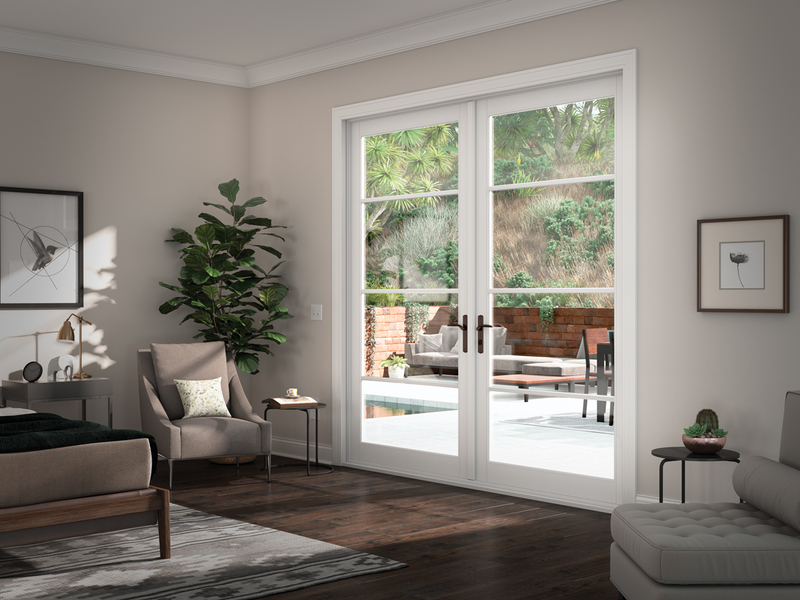 While it’s common in a retrofit or a remodel to replace an old sliding door with a new sliding door, swinging French doors may be a great solution to refresh your home and provide a little change of pace. Hinged doors require objects to be well away from the door, so you need to consider the additional space required when they are fully opened. Think about the location of your current sliding glass door that needs replacement and make sure the door panels won’t hit a wall or piece of furniture. 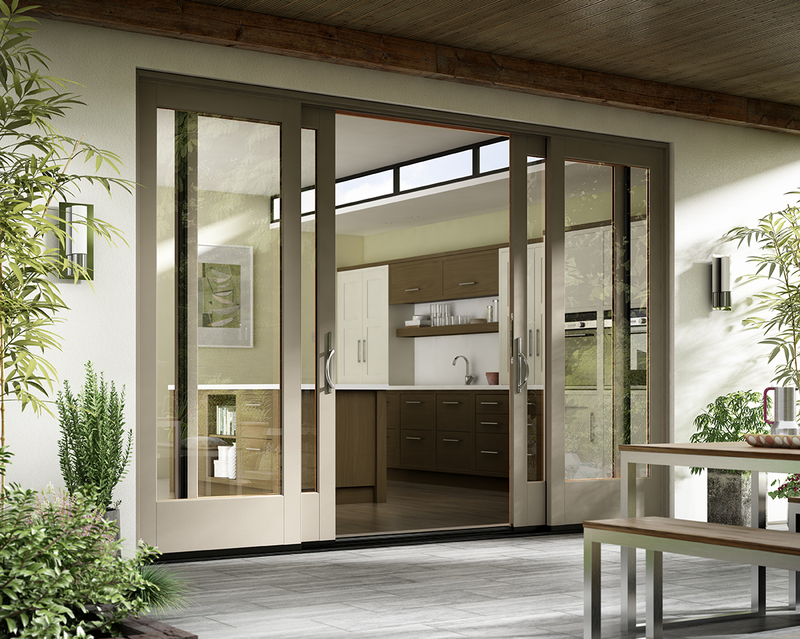 In-swing patio doors open into the room (like the image shown here) whereas out-swing patio doors open to the exterior space. 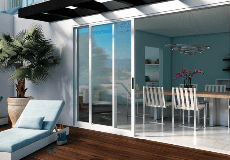 As you look at replacing your sliding patio door with a French patio door, there are a variety of options and upgrades to consider. The style and color of the door handle can be upgraded and you can also add grids, for a traditional French door look. Sidelites can also be used for more light and ventilation. 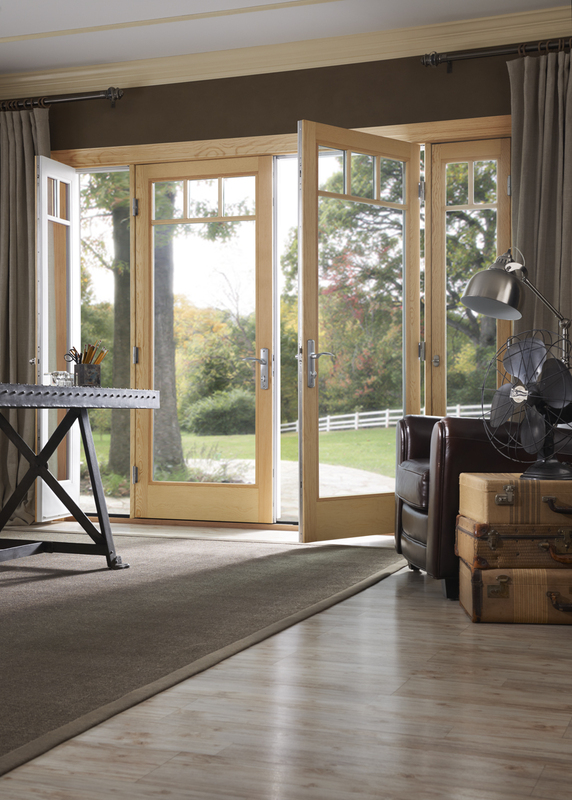 French doors evoke a sense of style, elegance and history. They can help create a striking ambiance that adds visual character from both inside and outside a home. 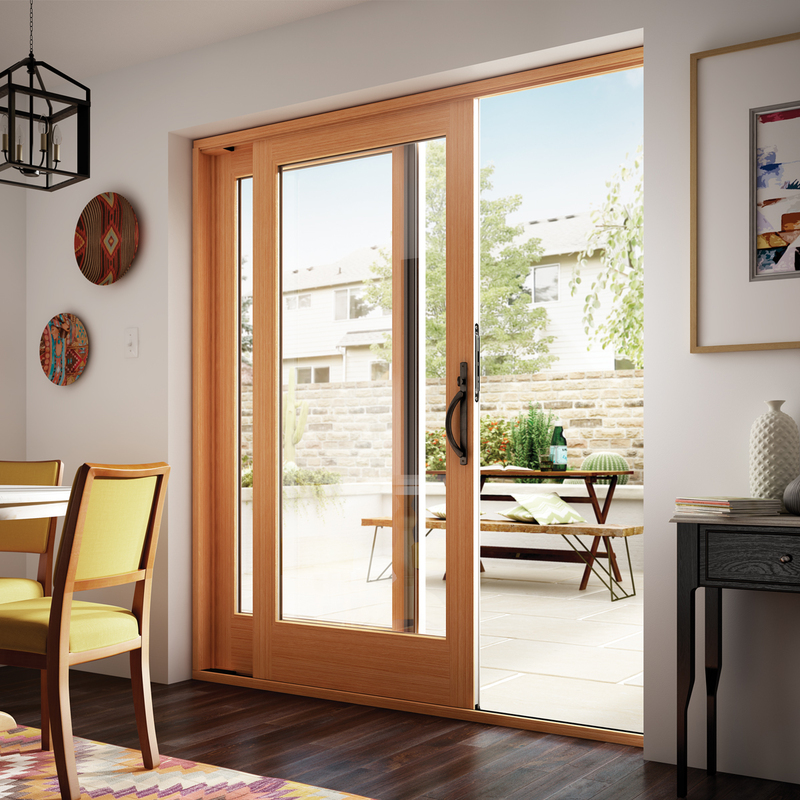 Some homeowners feel the swinging French door style provides a grand view and adds an air of elegance over sliding doors, but, the choice is ultimately up to you. 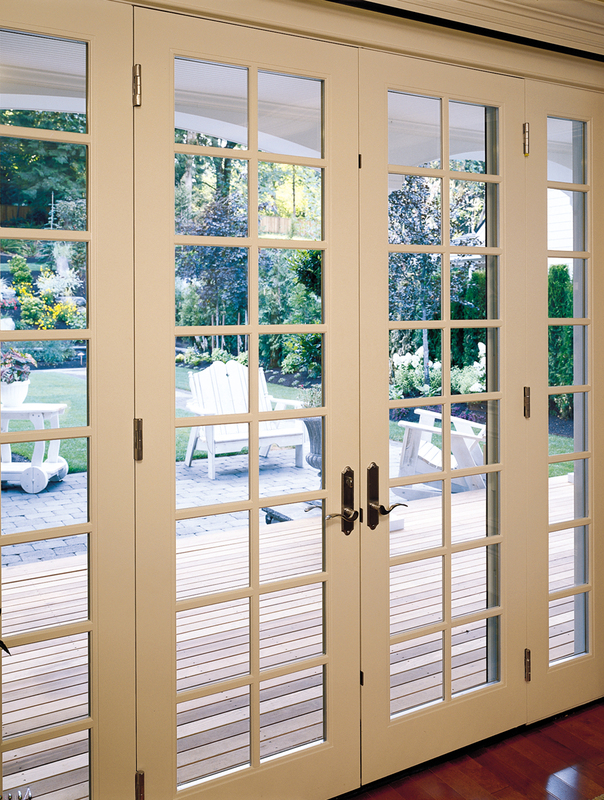 When you hear the words “French Doors”, you may picture a door that swings inward or outward on hinges, but, did you know it’s the wider lower rail that gives French doors its recognizable style? 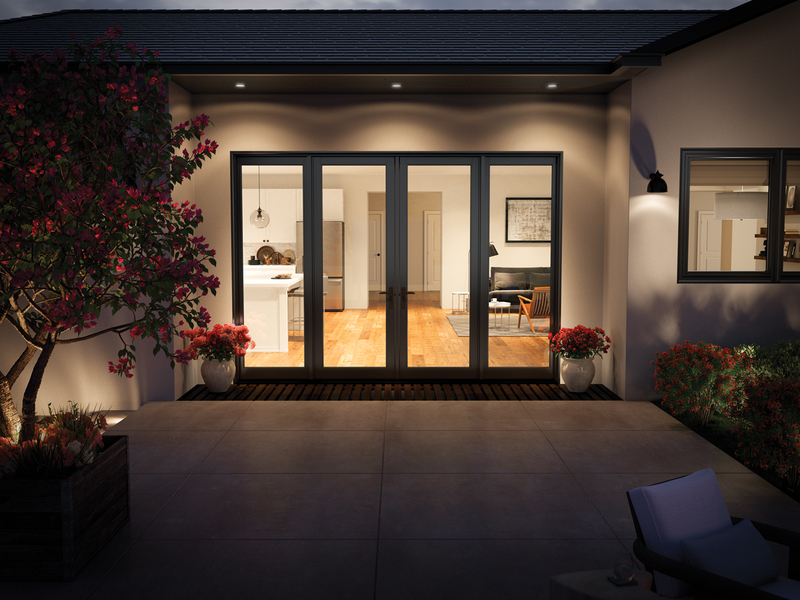 French doors are available in both sliding door and swinging door operating styles, so, you can achieve the look, no matter which operating style you choose. 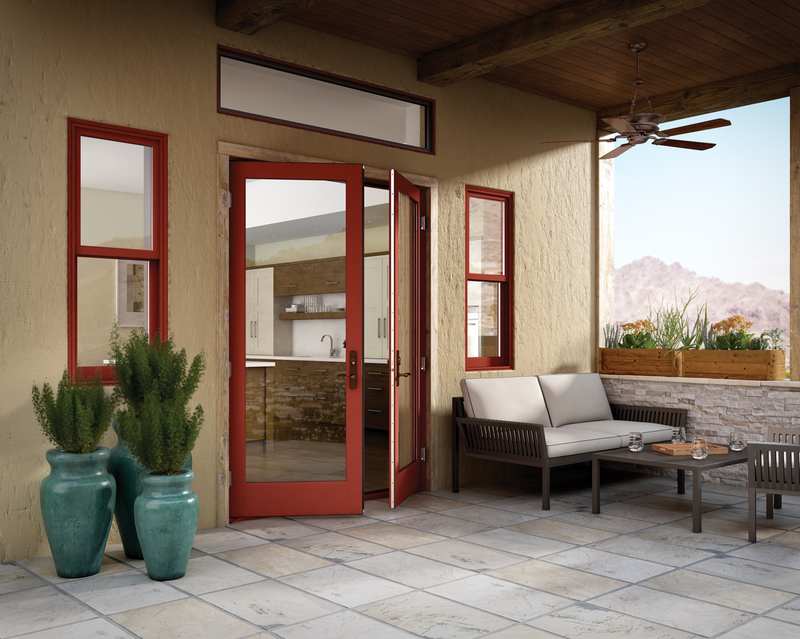 Now it’s your turn to decide which patio door option is the best for your home. 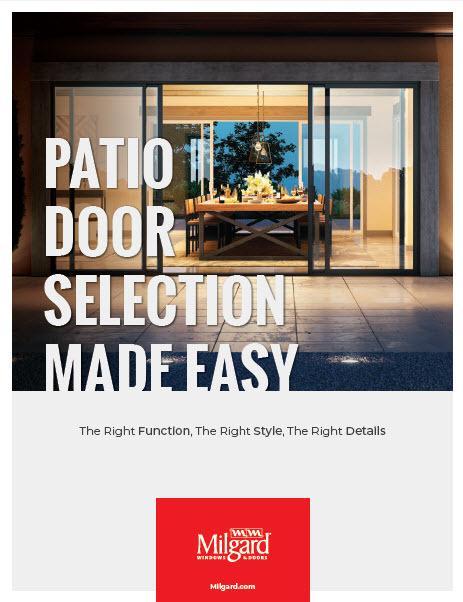 To help, we’ve created this handy patio door selection guide outlining a variety of options to help you get inspired.